WIR-11-BeamStair — ReNü Engineering Inc.
With the heating system prepped for air testing & connection to the boiler plant, we decided it was time for a beam & stair party! 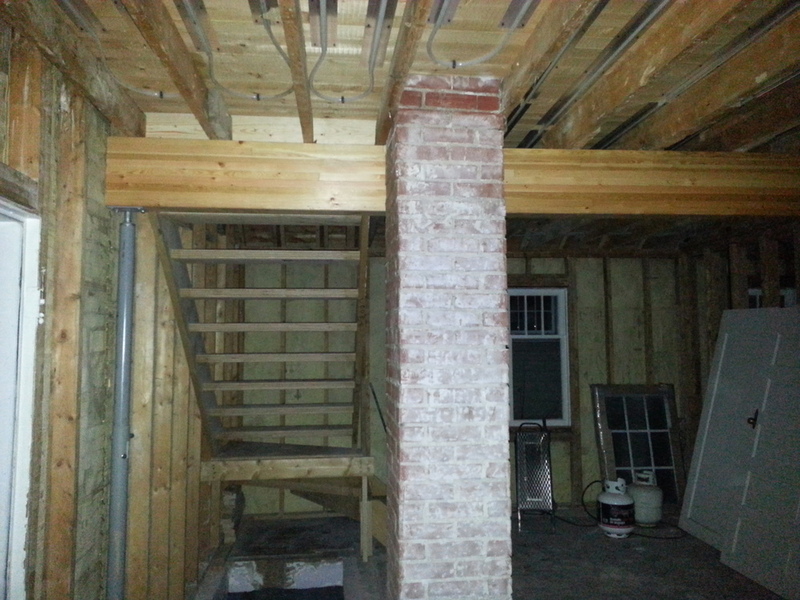 It took 4 guys (thanks Dad, Freeman, and Omes), but we installed the main floor beam and attic stairs without a hitch, though with a few grunts. Beam is a 16ft woodlam, 5 1/4" wide, 12" tall, supported by teleposts. 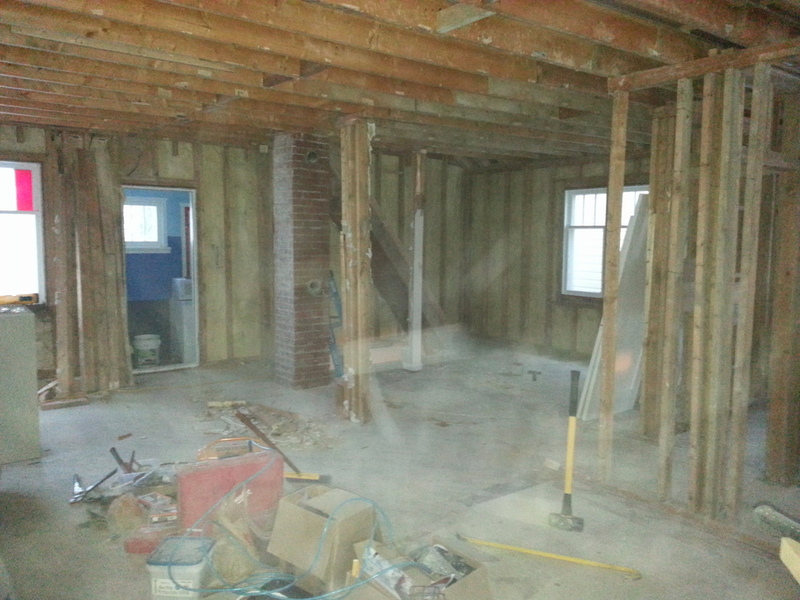 One of the teleposts rests on the foundation wall, the other lands over the basement hallway, requiring another small beam to transfer load down to the basement walls. All of this work was designed by Mike Swanson at BP-Tec engineering. 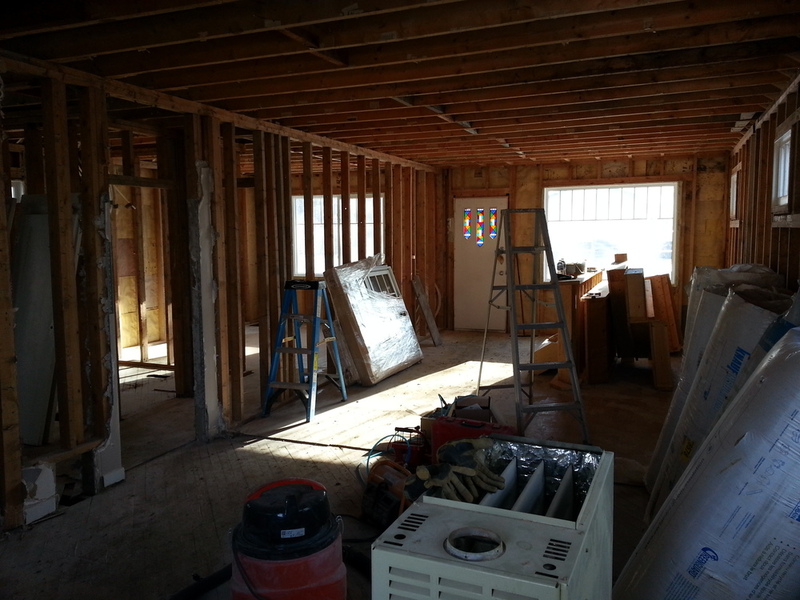 The main floor has really opened up with both the old kitchen:living and kitchen:dining room walls removed. 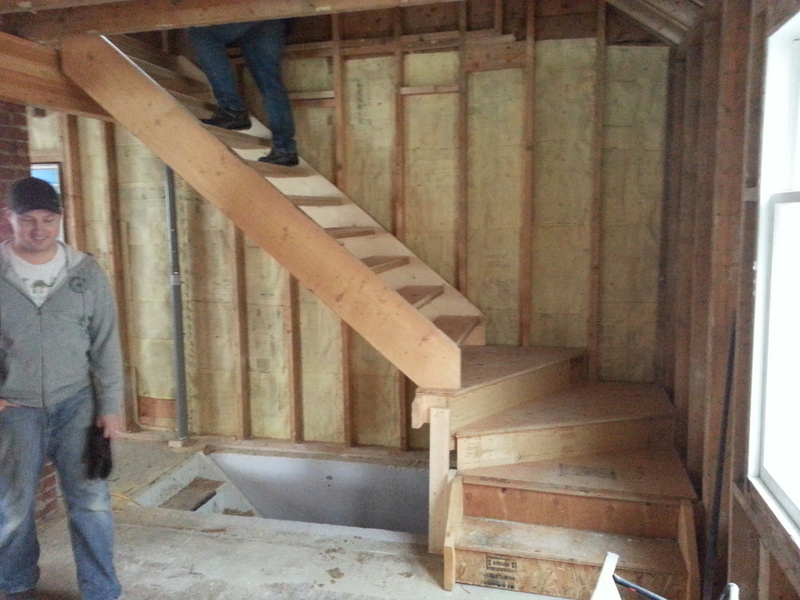 The new stairs are wonderfully wide, reasonably pitched, and code compliant.